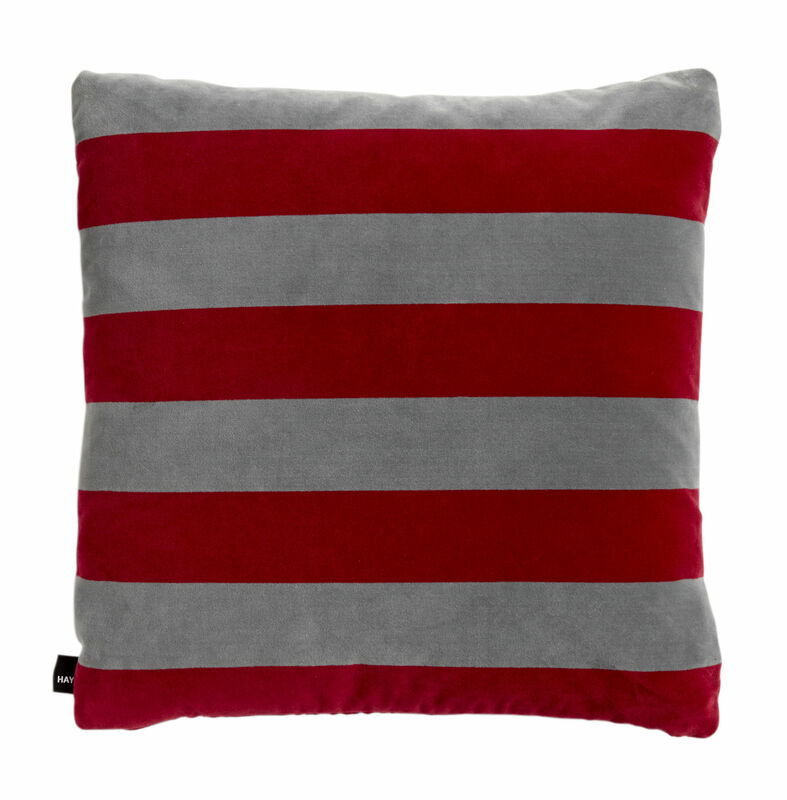 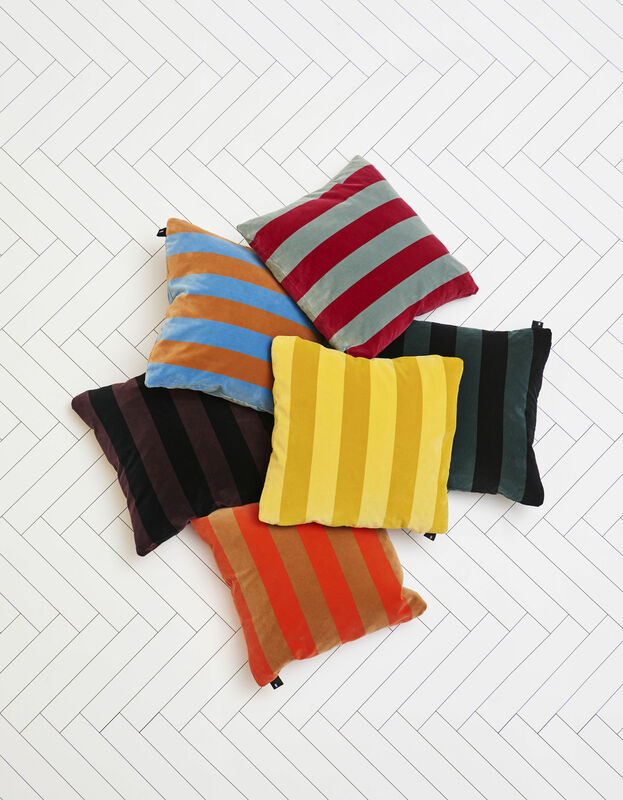 A vibrant style for these velours cushions decorated with large contrasting colourful strips. 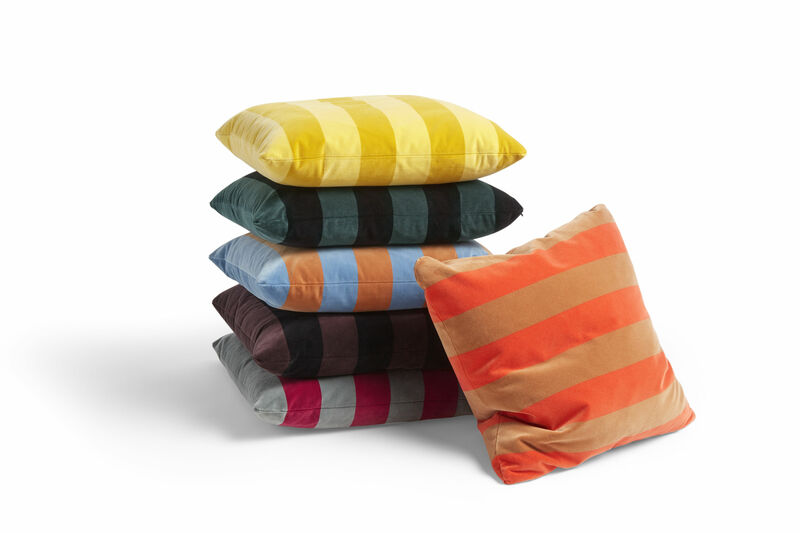 We love this geometric, graphical and modern pattern. 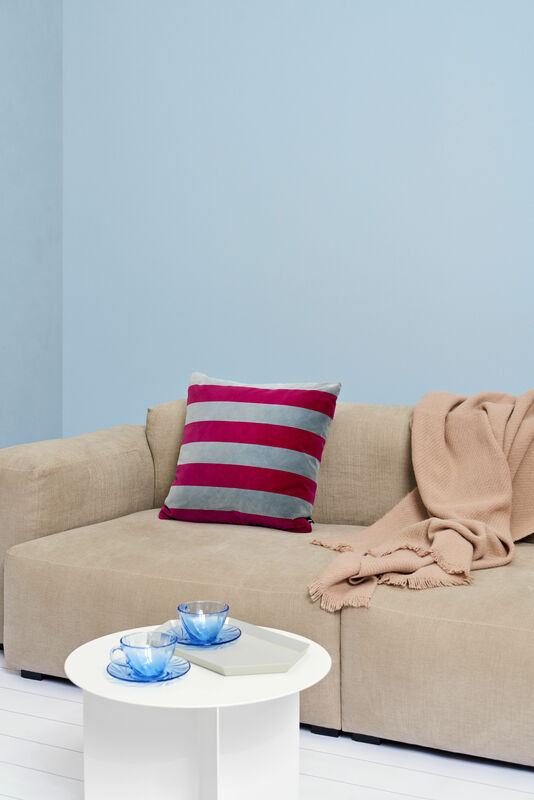 Soft and silky, the velours has a luxurious look which is in sharp contrast with the range of jolly colours. The cushions' high-quality fabric and exceptional finishes are typical of the Hay Textile spirit.